Over the last few weeks I've been reading posts and saving them thinking how nice it would be to share those posts from other bloggers on my own blog. 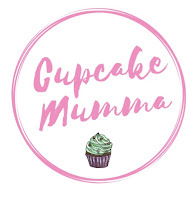 I like to share the love and although I enjoy leaving comments and sharing on Twitter, I think sharing a round up of my 5 favourite posts from each month on Cupcake Mumma would be really enjoyable. I hope you enjoy reading the following posts from fellow bloggers. 1 ~ Hannah from Make, Do and Push! Hannah wrote about her social anxiety in this post titled Social Anxiety and Motherhood: Dear Fellow Mama at Soft Play. I will be honest, this post hit a real sore spot in me and made me really emotional. It takes a lot for a blog post to do that (unless it's really sad of course!) but this post just hit me because I can completely relate to what Hannah is going through in regards to blushing and being nervous but wanting so badly to talk to others without feeling the way social anxiety makes you feel. Do read this post if you have time, especially to leave some virtual hugs for this lovely lady. Beth is a new blogger and I love what she writes. This post A Letter to Anest- Your first school review made me smile. Beth and I have been pen-pals for a few years now so I know a lot about what her and her family have been through with Anest. To be told your child will never do anything must be awful but for your child to prove those same professionals wrong time and time again must be amazing. In this post, we get to share in Beth's happiness as she describes just how far Anest has come since she started her new school. Enjoy. Emma's blog is fantastic for frugal posts, money making ideas, hints and tips and so much more. I discovered From Aldi To Harrods at the end of last year and I have gone through so many posts. One of my favourite series on Emma's blog which she writes every month is titled the 10 Weirdest Things Sold on Ebay. You'll be amazed what people not only put onto the selling site but what people actually buy! Empty cereal boxes anybody? Old, battered shoes? Read January's 10 Weird Things. Finally, a post that really hit me where I needed it. I can't really express what this post means to me so I hope that you will just read it and if you need to see the same words that they help you too. What if All I Want is A Mediocre Life? Hope you enjoy this post and all the bloggers posts i've shared from January. If you see a post during February that you think I should read, let me know! What a great idea, thank you for sharing some lovely reads. I'll be checking out each and every one of them. Thanks for sharing!